Scientists heard the "song" of ice in Antarctica. The sound was measured by a team of scientists who placed seismic sensors under the snow on the Ross Ice Shelf, in order to monitor the structure and movement of the ice. Melting of the snow is considered one of the most important factors in the destabilization of an ice shelf, which can accelerate the process of the shelf slipping into the ocean. Tracking changes in the ice shelf is crucial as, after they collapse, the resulting ice can raise sea levels significantly. Antartica is experiencing an accelerating loss of mass from its ice shelves, which act as plugs holding back the world's largest stores of ice from flowing uninhibited into the ocean. The biggest shelf in Antarctica - the Ross shelf has an area of about 500 square kilometers, slightly less than France. With this newfound ability, researchers could use seismic stations to continuously monitor the conditions on ice shelves nearly in real time, allowing us to see how the ice shelf's snow jacket is responding to changing climate conditions. 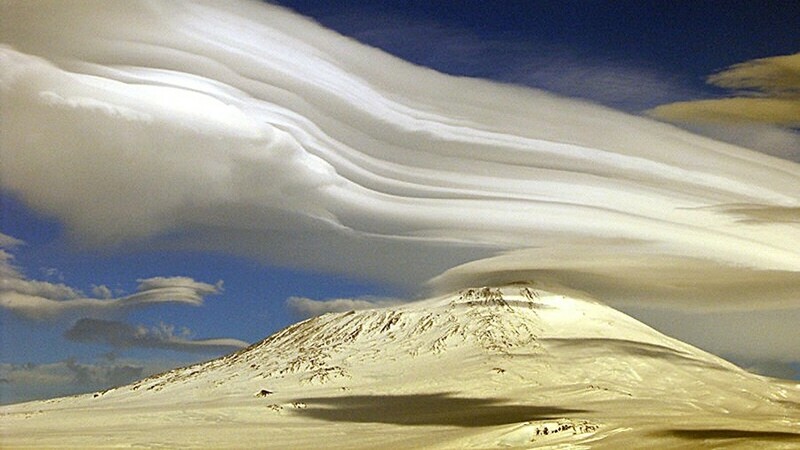 Winds whipping across the massive snow dunes caused the ice sheet's surface to rumble, like the pounding of a colossal drum. Because of the constant wind, the snow like sand dunes in the desert. The sounds are too low in frequency to be heard by human ears unless sped up by the monitoring equipment. As it turns out, the sounds actually come from powerful winds blowing through snow dunes on the surface of the ice shelf itself. The high frequency trapped seismic waves that ripple through the ice shelf were recorded by the researchers. The findings were reported in the journal Geophysical Research Letters.